These soft cotton blend, non-compression socks are designed for people with edema resulting from insufficient circulation or diabetes. An over sized, very loose fitting sock designed for extremely swollen feet. Cut extra wide and extra deep to help prevent binding. Large enough to be worn over a cast. 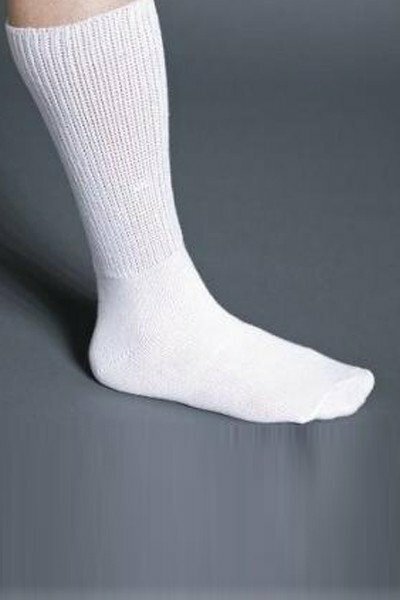 Often referred to as a "diabetic sock." White.